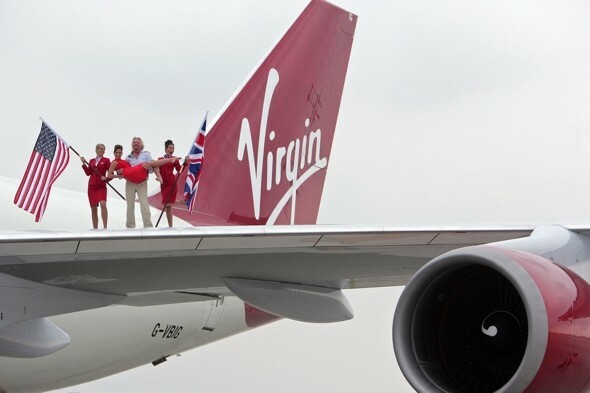 Virgin Atlantic has been honoured with the Best International Airline award in the ninth annual Readers' Choice Awards. Delta Airlines came top in the American carrier category, while Singapore Airlines was hailed the best for providing business and first class services, according to Opodo. South Africa, Australia, St Lucia, and Italy were voted the best countries in the regions, while Hawaii and Las Vegas were named the top US state and city respectively. InterContinental Hotels Group was recognised for the high quality of its properties in Asia and Europe, while the Ritz-Carlton picked up the award for best luxury accommodation. Celebrity Cruises was voted the top operator in Europe, while Royal Caribbean International was singled out for the US and the Caribbean. Staying in an Emirates First Class Suite is like booking yourself into a top-notch hotel: its 14 private suites (each costing £80,000 to create), offer a personal video library, massage-enabled leather seats, electric doors, a 23-in LCD screen, a dining table where you can eat a seven-course tasting menu on fine bone china, a built-in vanity table, luxury nightwear, and a beauty bag. Plus, Emirates is the first airline to install two fully-equipped bathrooms, called Shower Spas, where you can spruce up in style in a proper shower cubicle and changing area, with a hairdryer and full-length mirror. FInish with a spritz of Bvlgari perfume before meeting your friends at the First Class Social Area for a cocktail. Book a first class suite on Cathay Pacific, and you'll be in sky-high heaven. The luxurious suite triples up as a bed, armchair or chaise longue, and features a lumbar massage function. An ottoman and a table in your suite means you can invite friends or business colleagues round for a drink mid-flight, while your 17in TV means you can check out the latest movies in comfort. Luxury pyjamas and an Aesop amenity kit - not to mention the extensive fine-dining menu - make brilliant finishing touches. British Airways describes its first class experience as a 'veritable retreat in the sky' - and it's not kidding. Pre-flight, you can head to one of over 60 lounges, but it's the Concorde Room at London Heathrow Terminal 5 and New York's JFK that'll blow you away. Private cabanas offer day-beds and ensuite bathrooms, while the Elemis Travel Spa can cater to your every pampering whim. When you take to the skies, you'll be treated to a space with your own wardrobe, the first electronic blinds on a commercial aircraft, and a 400-thread Egyptian cotton duvet. When it's time to nod off, you can request the Turndown Service, and when it's time to wake up, you can treat yourself to the Dr Harris & Co goodies in your Anya Hindmarch bag. Want to sleep in the longest lie-flat seat on any commercial airliner? Book into Oman Air's First Class Mini Suite, which also boasts a 23-in TV screen. With just six suites in the first class cabin, along with a luxurious lounge area, it's an ultra-exclusive area, akin, it says, to 'flying in an executive private jet'. A 6ft 6in bed, a sheepskin mattress, an eight-course tasting menu, a touch screen TV, and Payot Paris amenity kits are just a clutch of treats that'll have you feeling on top of the world in Qantas first class. What's more, you've also got your own personal phone and text messaging service, as well as teddy bear-soft pyjamas and slippers for a truly relaxing experience. Forget first class, it's the Singapore Airlines Suites that take luxury to a whole new level. Your very own individual cabin features a hand-stitched leather armchair, sliding doors, window blinds and, wait for it, a proper standalone bed (ie not converted from a seat). Full-sized pillows, a turndown service, and Givenchy sleeper suit, bedding, slippers and tableware, all make for a real-life flight of fancy. When you fly Upper Class with Virgin, your luxury treatment starts before you've stepped foot on a plane. Head to the Virgin Clubhouse at Heathrow - the £11m flagship lounge - to relax poolside (yes, you read that right), enjoy a sauna or steam room, take in the views on the Observation Deck, get your hair coiffed at the Bumble and Bumble salon, or melt under a massage at the Cowshed at the Clubhouse. Once you're on board, you can slip into a leather armchair, which flips over into a separate bed with a mattress, which claims the title of the longest bed of any airline's business class section. Etihad's Diamond First Class is definitely every girl's best friend. When you've transformed your seat into a 6ft 8in flatbed, you can slip into your Ferragamo valise, slippers and sleeper suit, cosy up on the 600-thread Egyptian cotton sheets, and lose yourself in a movie on your personal 23-inch LCD TV. And when your tummy rumbles, you can order something fabulous from the a la carte Anytime Kitchen menu, and top it off with bubbles from your personal mini-bar. Bliss.